A peek inside my freezer right now will reveal hints of delicious meals to come. Stacked next to my flour and cornmeal are packages of ground beef, cube steak and lots of pork. 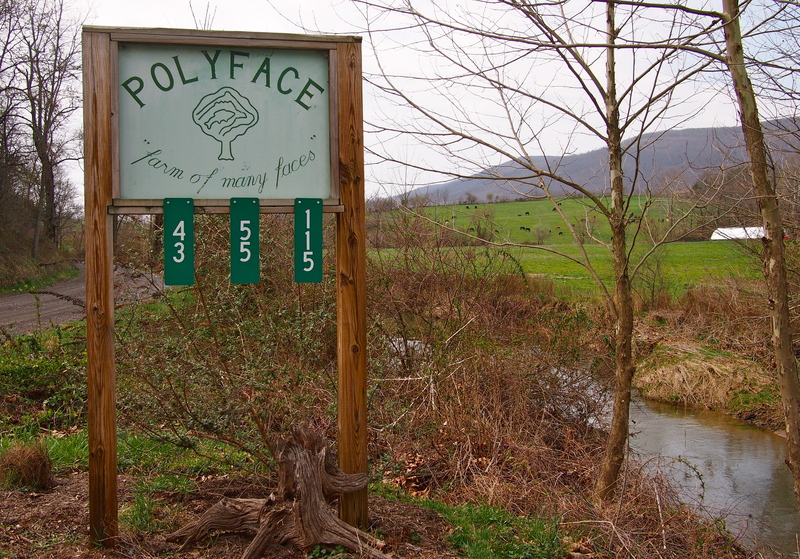 Last week, Patrick and I visited Polyface farm in the rolling hillsides near Staunton, Virginia, and met our meat. If you read Omnivore’s Dilemma or saw Food Inc. you’ll remember Joel Salatin’s Polyface farm as one of the most innovative beyond-organic farms in the country. 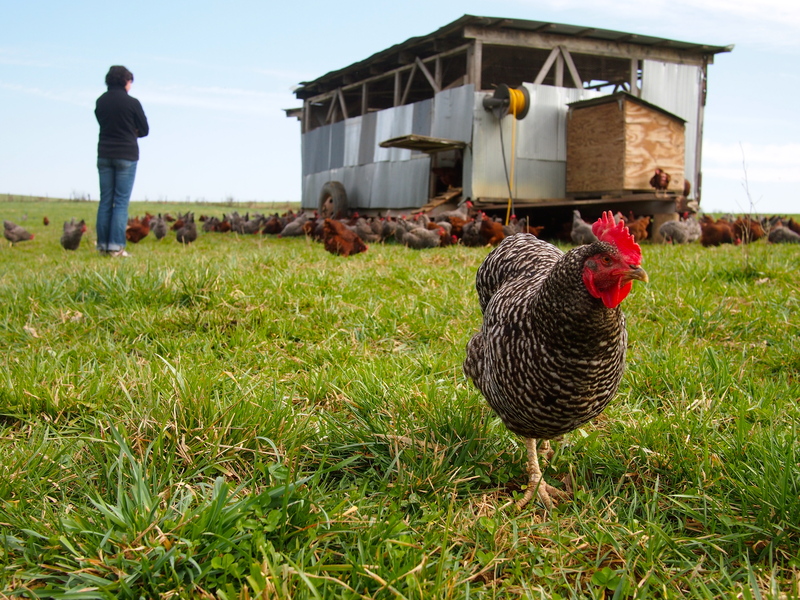 Though the farm sells beef, pork, chicken and eggs, Salatin really considers himself a grass farmer, concerned with the health and biodiversity of his land. Cows rotate through small sections of pasture, munching on a “salad bar” of diverse grasses and clovers and leaving behind natural fertilizer in the form of manure. A few days later, chickens roll through in mobile coops. 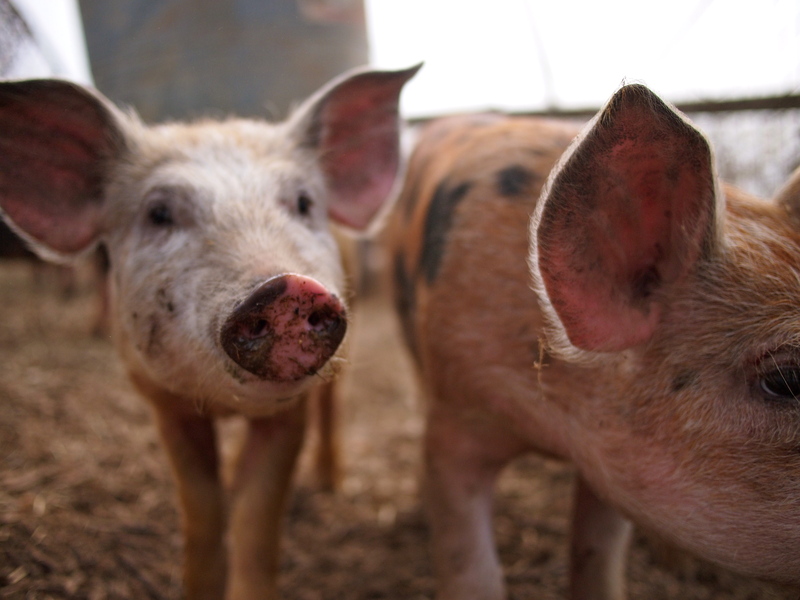 They break apart the manure, gorging on grubs and picking at grasses and seeds. 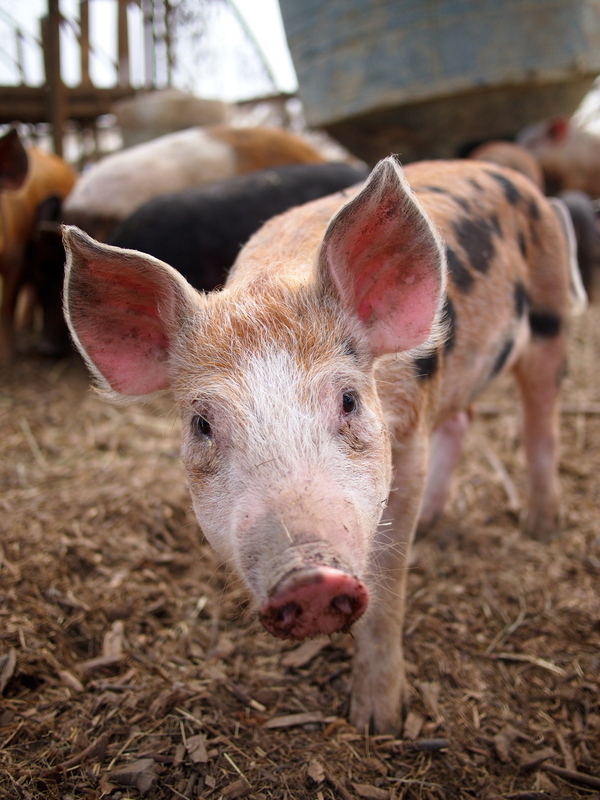 Pigs pitch in aerating the soil and turning straw bedding into fertile compost. The result? Rich, healthy soil and diverse pasture with no chemical inputs, PLUS pasture-fed beef PLUS eggs PLUS pork. That’s a lot of productivity from one piece of land. 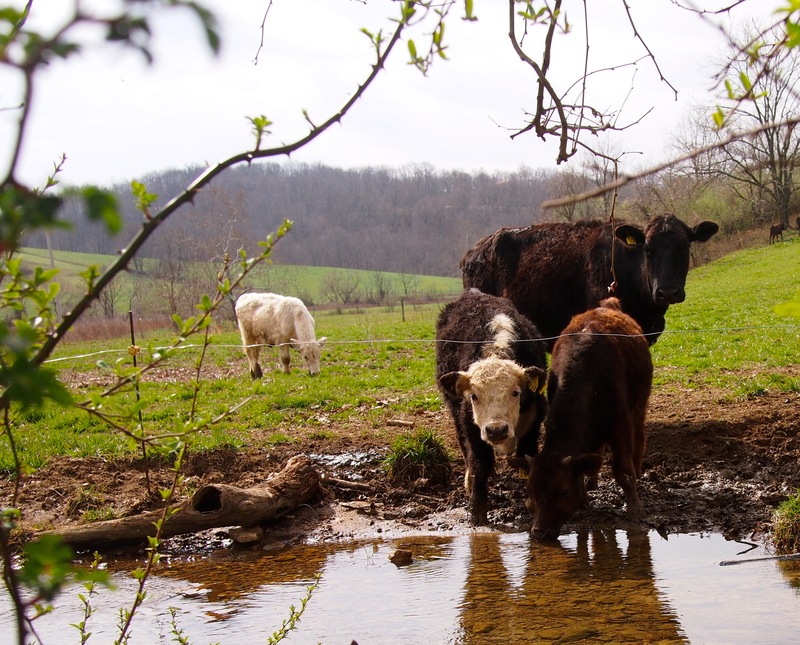 It’s the exact opposite of mono-crops or feedlots where cows stand around in barren, muddy fields. While doing research for this post, I learned Polyface Farms actually raises pork for Chipotle, which surprised me. A national fast food chain (even one that’s committed to using organic ingredients) and a super-sustainable farm like Polyface somehow still seem at odds. I just didn’t realize Chipotle works with small farmers – farmers who could commit to supplying just one or two local restaurants. And, for Polyface, supplying the local outlet means they’re keeping their product within the community, and enabling consumers yet another way to easily access fresh, wholesome food. You can learn more about Polyface and Chipotle here. This type of partnership excites me. I truly believe in eating organic, sustainably produced food, but sometimes I’m too tired or too hungry to do the research necessary to make the right choice. Sometimes I just grab something premade and quick. Knowing that there are places where “convenience” doesn’t have to mean “factory food” is inspiring. In a funny coincidence, Joel Salatin had a speaking event near my hometown the night before our visit. My parents attended his talk, where he railed against GMOs and discussed the importance of building community-based food programs. Keeping with his belief in keeping food local, Polyface products can’t be bought online or found at a grocery – unless you happen to live near Staunton, VA. You can find farmers in your local by visiting http://www.localharvest.org/. Next time I need a quick bite on the road, I’ll be looking for a Chipotle. In the meantime, I’m scouring the web for the best pork tenderloin recipe and looking forward to enjoying all my Polyface finds. This entry was posted in Food & Farmers and tagged Food & Farmers, gardens, Joel Salatin, organic, Polyface Farm, scenery by Propane Kitchen. Bookmark the permalink. Great post and nice pictures. thank you for taking the time.